“Evenness of note from Chalumeau to Altissimo is amazing also. Being made of hard rubber means it is not affected so much by heat or cold and remains stable pitch – wise during a long show. It also means the clarinet will not crack or warp due to extremes of climate. 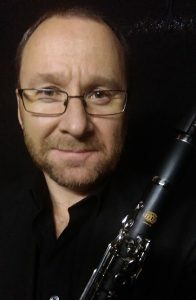 freelance professional with many major orchestras in U.K.
August 2018 – I am currently working as a freelance clarinet player with orchestras such as Royal Philharmonic, Royal Liverpool Philharmonic, BBC National Orchestra of Wales, Welsh National Opera, English Symphony orchestra, London Concert Orchestra, Red Note Ensemble and others and am looking forward to playing my C clarinet as much as possible! “I have now owned my Ridenour C clarinet for a few months and couldn’t be happier! I came to Les in need of a C clarinet as I had been booked last minute for a run of opera performances that required using one. Les had an instrument ready to go and after playing it for less than 15 minutes I threw it straight in to first rehearsals. C clarinets that I had played in the past (not Ridenour) were hard to play well in tune and weren’t very even in response. To my delight, the Ridenour C clarinet played with immaculate intonation. As is often the case with orchestral music, the clarinets had many phrases in octaves with the bassoons and other woodwinds, which can quickly expose bad intonation. However, this was no problem and I felt that I could both project my sound in solo passages but also, crucially, blend with my colleagues in tutti passages. In fact, one of my colleagues asked if was I transposing some passages onto the Bb and was stunned when I said that I was in fact playing a C clarinet! June 2018 – A satisfied Libertas buyer from Malta – Michael is a friend from years ago and wanted to buy a Libertas – he is a very fine player – I gave him a master class many years ago. Dear Les -Yes it all has arrived, and it sounds great! I understood the importance of correct assembly to get the sound right, your drawing was helpful!……. the testing so far gives me a good feeling. It sounds great! Thanks for all hints and tips! Best regards, a happy c and b clarinet owner! Les – the clarinet did indeed arrive in good condition. I had quite high expectations but these were surpassed within an hour of playing. The sweetness and consistency of tone, the intonation, responsiveness and the ergonomic feel of the instrument makes it pleasingly comfortable to play. I’m absolutely delighted. I personally like nickel keys and the hard rubber. 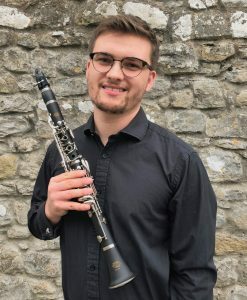 I’ll certainly be considering a Ridenour clarinet when it comes to replacing my Buffet Bb………………………………………..
May I take this opportunity to thank you for providing me with a wonderful clarinet and great customer service. I do not know of any shop sale person that would be so caring and thoughtful as you have been Les. 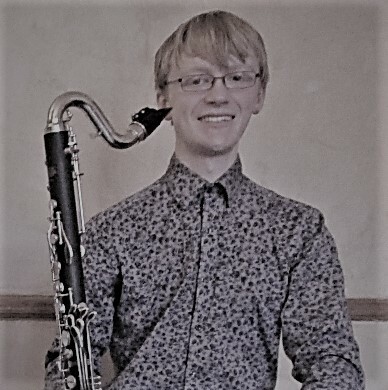 This from yet another happy Scottish customer who bought a Bb then came back to me for a C clarinet “After long deliberations, I set my heart on a (U.S.A. based) Ridenour C ‘hard-rubber’ clarinet and was delighted to find there was a U.K. agent, aka Leslie Craven, who not only takes care of the shipping details but checks and sets up each clarinet to ensure post-transit ‘health’. 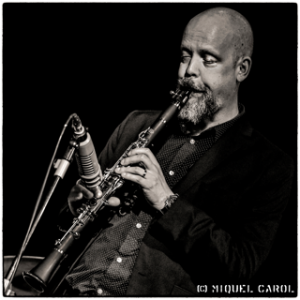 Les is meticulous not only in his attention to the professional setup of the clarinet, but also in his desire to provide an instrument tweaked to perfection for the individual specifications of the player. 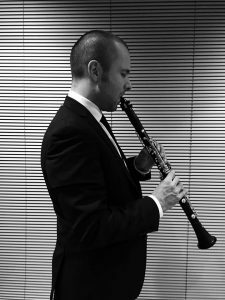 The Ridenour C clarinet itself exceeds its reviews with its amazing tuning, ergonomically designed register key and exquisite mellow tone; this clarinet is an absolute delight to play!! Due to Les’ attention to detail of both instrument and customer, the whole process from initial communications, individual specifications, speedy and protective delivery to holding a beautiful instrument with stunning tone and quality in my hands was stress-free, efficient and an absolute pleasure. I am really enjoying this clarinet, it has done wonders for my confidence as it produces such a lovely reliable sound! !